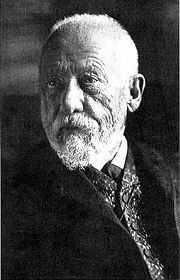 Wilhelm Dilthey (November 19, 1833–October 1, 1911) was a German philosopher and psychologist, a major philosopher of the “philosophy of life” (“Lebensphilosophie” in German). Developments of modern science gave a strong impetus to modern philosophers to re-establish philosophy based upon its model. For example, Descartes tried to make philosophy a body of certain knowledge by adopting Geometry as the model of knowledge. Immanuel Kant also attempted to explicate the nature, conditions, and limit of human knowledge through his Critique of Pure Reason, and tried to show the legitimacy of scientific knowledge. Dilthey attempted to establish a philosophical framework within which we can find the natures, conditions, and justifications of human knowledge particularly in the “human sciences.” Following Kant, Dilthey called his project the Critique of Historical Reason. Dilthey adopted Friedrich Schleiermacher’s Hermeneutics and developed it into a typology of “life.” Dilthey argued that the individual’s “lived experience” is necessarily tied to its social-historical contexts, and the meaning emerges from the nexus of relationships. Untimely death prevented Dilthey from finishing this project. Dilthey’s hermeneutics, however, made a strong impact on Heidegger and Gadamer, and his analyses of human consciousness influenced the late Husserl. Wilhelm Dilthey (Wilhelm Christian Ludwig Dilthey) was born Nov. 19, 1833 in Biebrich, Germany. His family was connected to the dukes of Nassau, serving as chaplains and councilors. His early education was at a local prep school where he graduated in 1852. Following family tradition, he entered the University of Heidelberg to study theology. After three semesters, he moved to Berlin for historical studies under Friedrich Trendelenburg. To please his father, he took the examination in theology and preached his first sermon in 1856. His preferred occupation was secondary teaching, but after two years he was forced to give it up due to persistent ill health. He spent six years doing historical research and philosophical study in Berlin. In 1864, with an essay on the ethics of Friedrich Schleiermacher, he entered university teaching. He became a professor at Basel (1866), Kiel (1868), and Breslau (1871). He returned to Berlin as a professor of theology in 1882, a post he held until 1905. In 1874, he married Katherine Puttmann and they had one son and two daughters. He died Oct. 1, 1911 in Seis. A life-long concern was to establish a proper theoretical and methodological foundation for the “human sciences” (e.g. history, law, literary criticism), distinct from, but equally 'scientific' (“science” - “wissenschaft” in German; in a broad sense of “discipline”) as, the 'natural sciences' (e.g. physics, chemistry). His principles, a general theory of Understanding (Verstehen) or Interpretation, could, he asserted, be applied to all manner of interpretation ranging from ancient texts to art work, religious works, and even law. His interpretation of different theories of aesthetics in the seventeenth, eighteenth, and nineteenth centuries was preliminary to his speculations concerning the form aesthetic theory would take in the twentieth century. The rise of modern science made a strong impact on philosophy. Natural sciences and mathematics were often understood as the model of knowledge and the methodology of the natural sciences were adapted to other areas of humanity and social, historical disciplines. For example, Descartes took geometry as the model of knowledge and tried to establish philosophy accordingly to the model, and Kant also recognized the effectiveness of mathematics and other empirical sciences. He tried to give philosophical justification to and clarification of their legitimacy, and attempted to elucidate the conditions of valid knowledge and the limits of what we can know. He carried out this task in his Critique of Pure Reason. For a broad area of humanities in the German tradition conceived as the “Human Sciences” (“Geisteswissenschaften”), in contrast to the “Natural Sciences” (“Naturwissenschaften”), Dilthey tried to carry out a task similar to that of Kant's in mathematics and the natural sciences. Dilthey called his project “Critique of Historical Reason” in parallel to Kant’s Critique of Pure Reason. Neo-Kantians such as Heinrich Rickert and Wilhelm Windelband attempted to formulate the methodology of the “Cultural Sciences” (“Kulturewissenshaften”) comparable to Dilthey’s “Human Sciences.” Dilthey’s perspective, however, was different from that of Rickert’s. Rickert juxtaposed “natural sciences” and “cultural sciences” as two distinct sciences based upon Kantian dichotomy of nature and culture, nature and human spirit, and nature and history. Rickert understood “cultural science” and “natural sciences” as two distinct realms. Neither of them was fundamental or derivative. On the contrary, Dilthey took “human sciences” as the primordial one. Dilthey also rejected the Kantian dichotomy and tried to find a philosophical framework which allowed one to see the totality of human life (“der ganze Mensch”; “the total human being”) which he thought was prior to the artificial Kantian categorization. Dilthey’s philosophical approach was also different from Kant’s. Kant tried to disclose a priori conditions of knowledge, which he argued existed in the human cognitive apparatus prior to experience. These a priori conditions of knowledge (such as categories of space and time, quantity and quality, relations, modality, and others) are, Kant argued, the conditions that make knowledge and experience possible. Dilthey rejected Kant’s approach of finding a priori conditions. Dilthey argued that human experiences cannot be “explained” by enumerating these “conditions”; human experience is in itself a whole and it has numerous interdependent relationships within itself and outside of it; the totality of human experience cannot be divided and reduced to its components or parts; the aggregate of parts is not the same as the whole. One of the main reasons why Dilthey refused the Kantian approach to “cultural sciences” (for Neo-Kantians) or “human sciences” (for Dilthey) was probably based on Dilthey’s ontological orientation. Major modern philosophers rejected the ontological or metaphysical orientation of Ancient and Medieval philosophies. Dilthey posed a question on this epistemology centered trend of modern philosophy and tried to find a methodology of being without falling into speculative metaphysics. Dilthey found human beings as the access point to establish a new methodology, and found the clue in Schleiermacher’s “hermenutics,” a theory or method of interpretation. Dilthey presented the concept of “experience” (“Erfahrung”) against that of empiricism (“Empiricismus”). Modern philosophers, including empiricists and the non-empiricist Kant, identified experience primarily as sense experience in their theories of knowledge. Dilthey argued that human experience cannot be reducible to elements of senses and representations; the experience of the self necessarily includes its relationships with the world or “communication of life” (“Lebensbezug”). Understanding was, therefore, more than just a cognitive matter, and it was a “re-experiencing” (“Nacherleben”) in the vocalulary of his later writings. Dilthey distinguished “lived experience” from the abstract notion of experience of the empiricists, and conceived concrete, “lived experience” as the unified whole which had its own structural relationships within the world. The “meaning” of one’s experience is determined by multiple relationships of the self with the world. The “lived experience,” as Dilthey conceived, is extended into the past and the future. In the vocabularies of later phenomenology, one’s experience is necessarily contextualized within its own horizon that includes socio-political-historic dimensions. Experience for Dilthey was not isolated and enclosed to the individual’s mental realm but was linked to socio-historical horizons or contexts. Hermeneutics is a theory or methodology of interpretation. In ancient Greek, the skill or technique of “interpreting” (“hermeneia” in Greek) poetries and oracles was called “techne hermeneutike” (“technique of interpretation”). This technique was applied in interpreting scriptures, classic texts, and laws, and developed as particular theories of interpretation in the fields of philology, theology, and laws. In the middle of seventeenth century, an idea of a general theory of interpretation and in the first half of the nineteenth century, Friedrich Schleiermacher developed it as a systematic theory, a “general theory of hermeneutics,” and was later adopted by Dilthey. One of key concepts in interpretation is the circularity between the parts and the whole. When one tries to understand a part of the text, for example, he has to understand the whole context. But one has to look at the constitutive parts in order to understand the whole context. The parts refer to the whole and the whole also refers to the parts. Understanding the text means to enter into this circle of the parts and the whole. This dynamic mutual referencing of the parts and the whole is called the “hermeneutic circle.” This is a basic principle of interpretation recognized in the tradition of hermeneutics. Both Dilthey and Schleiermacher are linked to German Romanticism. The school of Romantic hermeneutics stressed that an interpreter—not necessarily a Cartesian subject—could use insight, combined with cultural and historical context, to bring about truer understanding of a text. In his analyses, the lived experiences were taken as the given facts and became the objects of analyses. J. I. Hans Bakker has argued that Dilthey should be considered one of the classical sociological theorists because of his important role in discussing Verstehen and his influence on interpretive sociology generally. Dilthey conceived philosophy as a “worldview,” and argued that diverse philosophies in the past were products of and relative to each period of history. He developed a typology of philosophy and called it the “science of world-views.” It was Dilthey’s attempt at establishing a meta-philosophy. He called his typology of worldviews “philosophy of philosophy.” Dilthey argued that human life has structural relations that consisted of three components: recognition of reality; value-determination; and setting up of purposes. Human life as a unified whole consisted of these three components, and worldviews are classified into three basic types: religion, literature, and metaphysics. In his unfinished work, The Structure of the Historical World in the Human Sciences, Dilthey attempted to present his critique of ”historical reason” against Kant’s critique of “pure reason.” Kant conceived “reason” as a-historical or “beyond history” in the sense that reason was universally valid and transcends the limitations of history. Dilthey, on the contrary, conceived reason as historical in the sense that reason is configured by and is relative to history. His historical relativism showed a sharp contract to Kant’s critical philosophy. Edmund Husserl was also critical towards Dilthey’s historical realtivism and accused him of his “historicism.” Dilthey’s concept of reason, however, questioned the modern concept of rationality that conceived reason as “prejudice free,” “interpretation free,” and a result of the objective faculty of the mind. Dilthey’s thesis that rationaility is historically conditioned, relative, and interpretive was a perennial issue that thinkers of the twentieth centuty had to deal with. While many of Dilthey's works were translated from German and published posthumously, these are some of the main ones. Dilthey passed away before completing his project and put it into writing. So there is no single work that contains his thought. His philosophical ideas are spread over several works. Introduction to Human Science (1883). Ideas Concerning a Descriptive and Analytical Psychology (1894) (essay). The Structure of the Historical World in the Human Sciences (1910) (essay). Geammelte Schriften (20 vol.) (1914-1990). The Essence of Philosophy (1954). Das Erlebnis und die Dichtung (1970). Descriptive Psychology and Historical Understanding (1977). Wilhelm Dilthey Wilhelm Dilthey: Selected Works, Volume I, Princeton University Press, 1991. Wilhelm Dilthey Wilhelm Dilthey: Selected Works, Volume V Princeton University Press, 1996. Wilhelm Dilthey Wilhelm Dilthey: Selected Works, Volume III, Princeton University Press, 2002. Introduction to the Human Sciences: An Attempt to Lay a Foundation for the Study of Society and History Wayne State University Press, 1989. Ermarth, M. Wilhelm Dilthey: The Critique of Historical Reason. Chicago University Press, 1978. Hodges, Herbert Arthur. Wilhelm Dilthey: An Introduction. 1969. Makkreel, Rudolf A. Dilthey: Philosopher of the Human Studies. Princeton University Press, 1992. Mul, Jos de and Tony Burrett. The Tragedy of Finitude: Dilthey's Hermeneutics of Life. Yale University Press, 2004. Owensby, Jacob. Dilthey and the Narrative of History. Cornell University Press, 1994. Rickman, H. P. Dilthey Today: A Critical Appraisal of the Contemporary Relevance of His Work. Greenwood Press, 1988. This page was last modified on 18 August 2013, at 20:52.